The building of America’s railroads involved African-Americans. Virtually every railroad built in the South in the 19th century was built using slave labor. 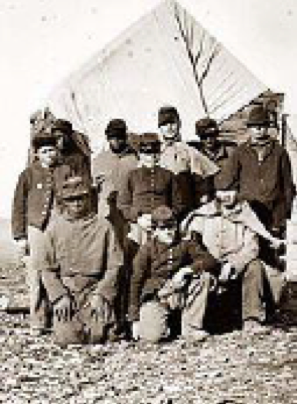 During the Civil War (1861-1865) the United States Military Railroads (USMRR) employed thousands of freeman and contraband slaves. Besides those who worked on the transcontinental railroad, thereafter tens of thousands of African Americans worked on America's trains and railroads. Along with sharecropping, domestic service, mining, and other back breaking jobs, railroads employed African Americans, allowing them to build more independent lives.